Last week was rather hectic, but in a good way. I was invited to read at the Dubray 20th Anniversary party in their shop in Rathmines, which I had often browsed a decade or more earlier when I lived in the area so I had many happy memories. Dubray MD Maria Dickenson interviewed several authors, including yours truly, and MC’ed proceedings very well. Nibbles were provided, as well as alcohol (always a good idea when you have an [insert collective noun here] of authors 🙂 And look! 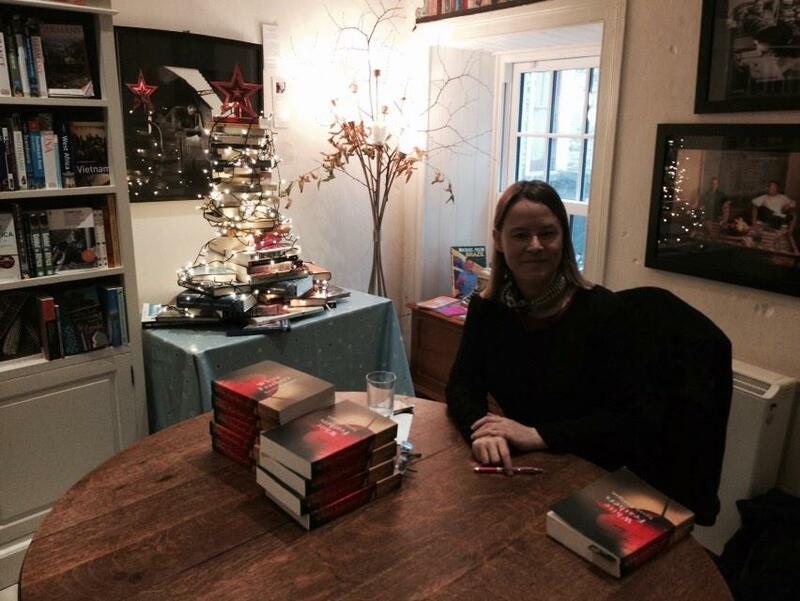 Each author either read an extract from the book, was interviewed by Maria, or both. I loved the redoubtable Rosemary – apols, have forgotten last name – who in her seventies first decided to start writing and is now working on her second novel, her first one, Trimingham Park, being now available. Folks, it’s never too late to start, all right? But in truth it was great to meet everyone, and I got to chat to a few customers as well, who were sweethearts. (Hi Nodlaig and Millie!) I read from the first entrance of David Wentworth Hopkins into Eva’s home. Those who have read the book will know exactly what he is going to show her when they are left in a room alone together…be very afraid! Then the day after that, I got on a train and headed down to Cork, and thence by bus to Schull. 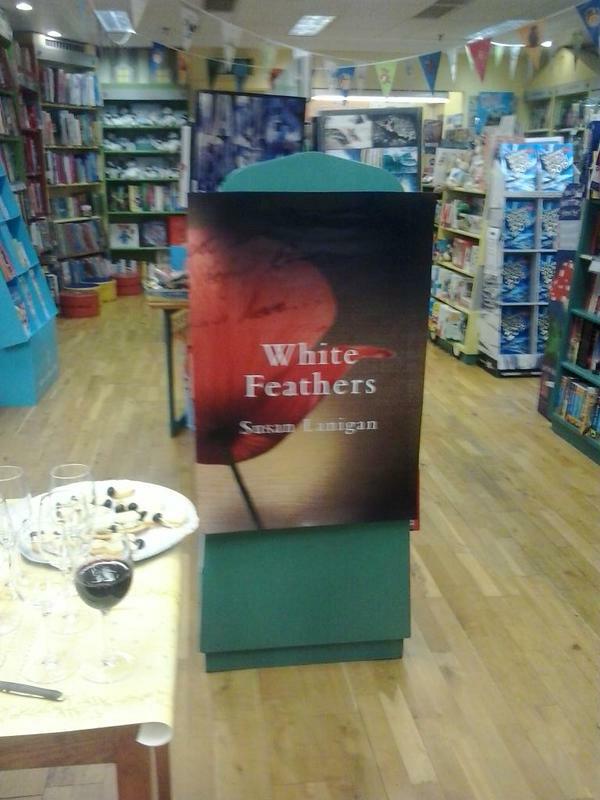 I saw that Easons Cork have kindly put White Feathers near the door on the Christmas table, so people of Cork, if you are looking for a gift…anyway, enough hustling, back to the matter at hand, which was my reading at Whyte’s Bookshop in Schull. 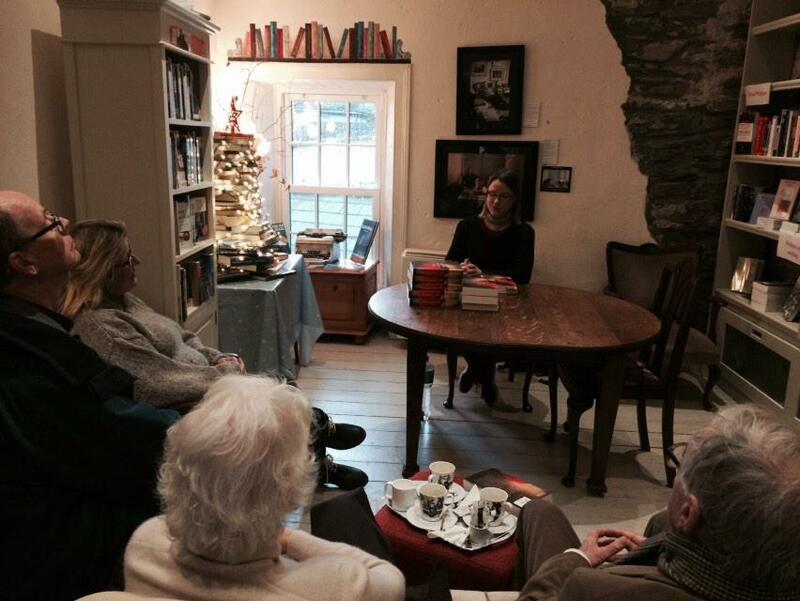 I had a boutique audience, small enough to be intimate but not too small. The ever-wonderful Elizabeth Murray (got a book coming out in autumn 2015, part 1 of a fantasy trilogy! yay for talented friends) took some pictures. Joan at Whyte’s was lovely and gave me such encouragement and hot chocolate. 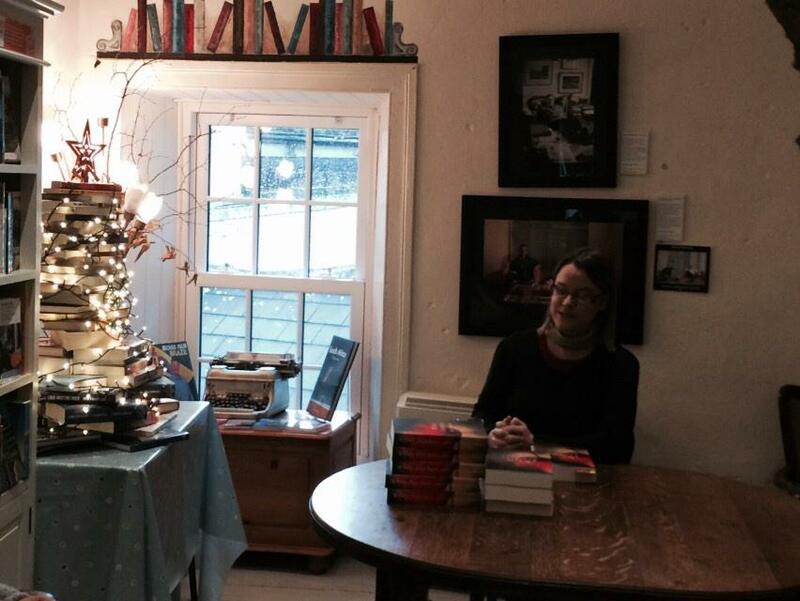 Sheila, the owner, could not make it, but everything went well, and we sold a good few copies! The following day was bright and sunny, so, maddened and transfixed by the beauty on all sides as I took a walk out along the bay and rounded the headland, I took ever more photos. What a wonderful, special place. And for next week – a visit to Waterstones Drogheda at 11am on Saturday to meet Lisa Redmond, and later, book blogger Margaret Madden. The “Louth Ladies” have been so supportive of my journey, I am really looking forward to meeting them in person at last. People of Drogheda, Dundalk and surrounding vicinities, you are all welcome! Delighted and thrilled – (as opposed to delireh & excireh) for you Susan! However I’ve been struggling with a collective noun for authors so ive settled for a muse of authors. If anyone else likes that, ‘you heard it here first folks….’ And to further labour the Gay Byrne puns…. Eh no, let’s leave it thee so….